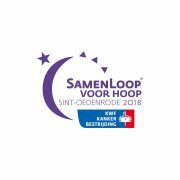 Samenloop voor Hoop | United Pipeline Products B.V.
SamenLoop voor Hoop is a 24 hour walk for cancer research. Team members alternate on a course as a symbol for the ongoing battle against cancer. Around the walking relay, every edition has a special program for visitors, full of music and activities. United Pipeline Products B.V. will be joining at the Samenloop voor Hoop Sint-Oedenrode 2-3 September 2018.